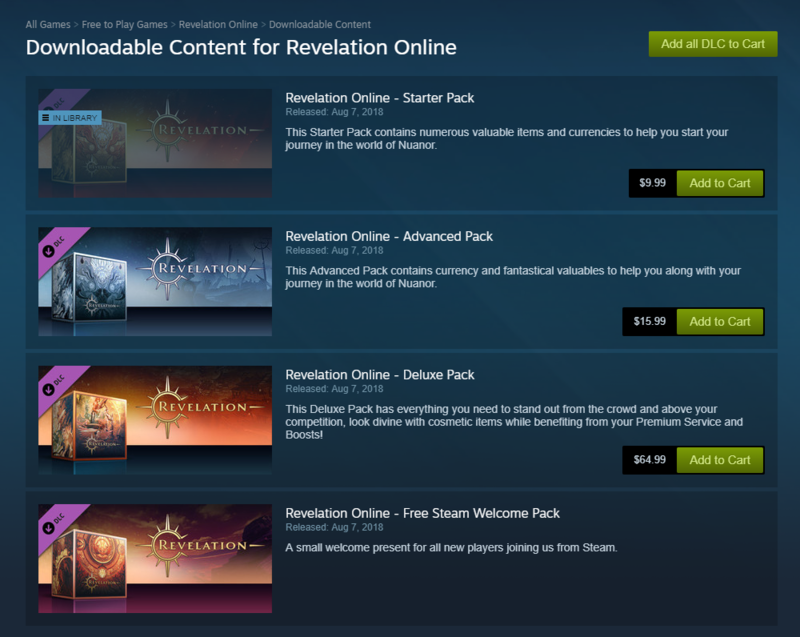 Users will not be able to activate a Steam Package(s) or the Items on any Revelation Online account that was not created via Steam. 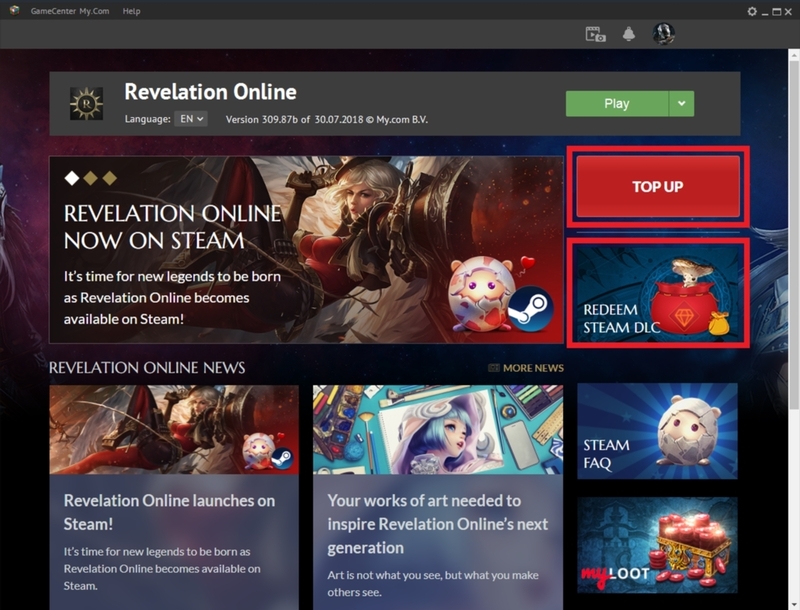 If your account was created pre-Steam integration, or if you created your account through the Mycom Game Center from our official website, please visit our website inventory page instead. 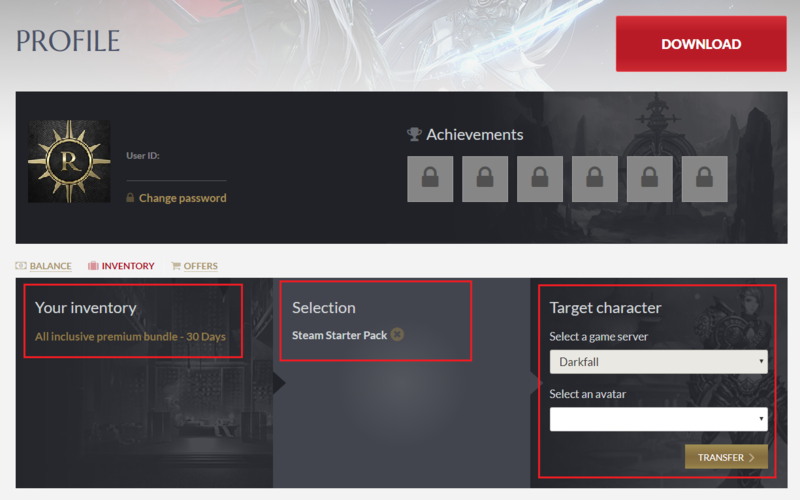 All purchased DLC content will reflect on the website inventory only after a character has been created to allow the transfer of items. For all questions regarding DLC and Aurum purchases, please contact us.